Friday 9th and Saturday 10th March - Tea Cosy 'bake sale' in aid of Breast Cancer Haven, in Fabulous, Leamington Spa. 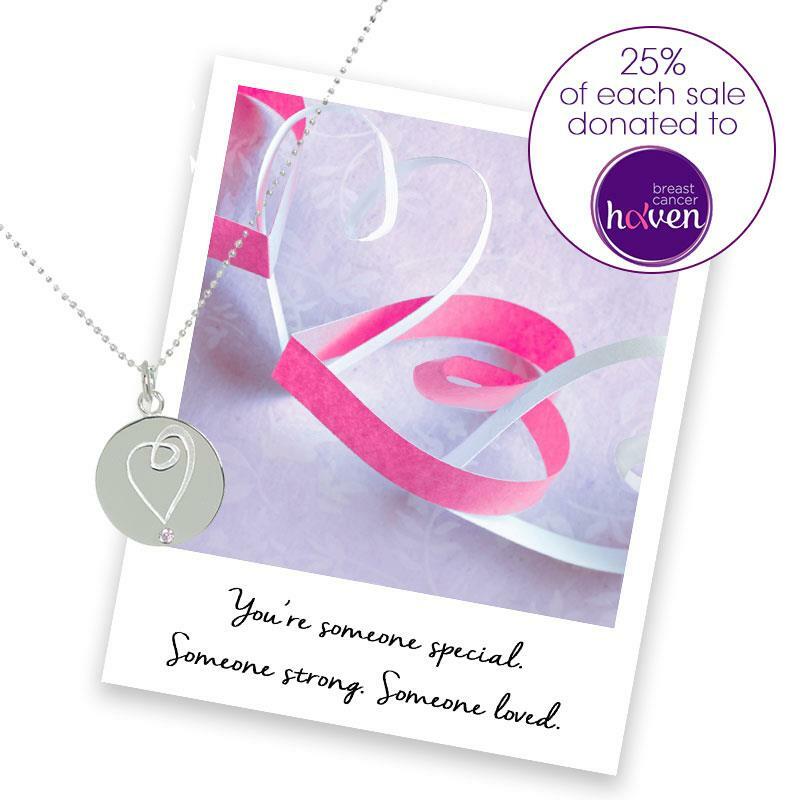 To celebrate the launch of our new Heart Necklace in aid of Breast Cancer Haven, we are holding an event in Fabulous Leamington Spa to raise money for the charity. Breast Cancer Haven invites supporters to hold a 'Tea Cosy' event during March, with tea or cakes to show your support. The Mantra team will be baking cakes to bring into the Fabulous store, selling them in exchange for a small donation to Breast Cancer Haven. Breast Cancer Haven is an amazing charity that supports people going through treatment for breast cancer, with a tailored package of emotional and physical support, from one of their six centres across the UK. The latest centre has recently opened in Solihull, West Midlands. Our new necklace in our Mantra Changes Lives collection features a heart and pink stone, with the uplifting mantra, 'You're someone special. Someone strong. Someone loved'. Buy it here now.